Yes, you can! Your existing line will be active until they process your request and give the OK to come over to ookyo. If you are porting in from Hotlink, you can start using the ookyo service on your existing Hotlink SIM card. 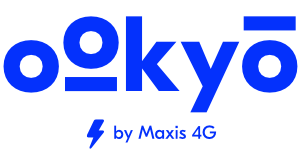 If you're porting in from other telcos, you will get a temporary ookyo number on your ookyo SIM card to start using the service while your port-in request is being processed. Make sure you reply to the SMS from your old telco within 48 hours otherwise your port-in request will be rejected!